This past weekend I put my gaming group through a Halloween-themed, Call of Cthulhu-style adventure using the Cortex system rules. I had to make a few tweaks to the system to give characters a “sanity” component, but I think it worked rather well and a good time was had by all. We had a new role-player in our group and I find that rules-lite systems (such as Cortex) work best in those situations. Plus, as I’ve been running a Serenity RPG campaign for the past couple of years, my players were already familiar with the basics and core concepts of Cortex. This coupled with the fact that I do not, in fact, own a version of Call of Cthulhu (but have played it) influenced my decision. One of the core concepts of any Cthulhu-style game is that the players risk their very sanity in encountering various denizens of the Mythos. But the Cortex rules don’t really have a Sanity attribute or rules for going insane. There is a Complication of “Unstable”, however, so I glommed onto that to begin with. Essentially what I did was give players an alternate stress bar for Mental attacks. A player could take Mental Stun (fatigue, stress, etc.) or Mental Wounds (actual psychological/neurological damage) from creatures. For mental attacks, characters had Sanity Points (which corresponded to Life Points). These were tallied by adding the max die for INT and WIL. Each character had a number of Stun and Wound points based upon their Sanity Points. Once Mental Stun/Wounds were at 1/2 their Sanity Point total, characters would react at a -2 to all Mental actions until recovery/treatment. If Mental Wounds or Stun went to 0, character would need to roll a Mental Endurance roll at AVERAGE difficulty to stay conscious. This roll is made at +4 Difficulty each turn until recovery/treatment. 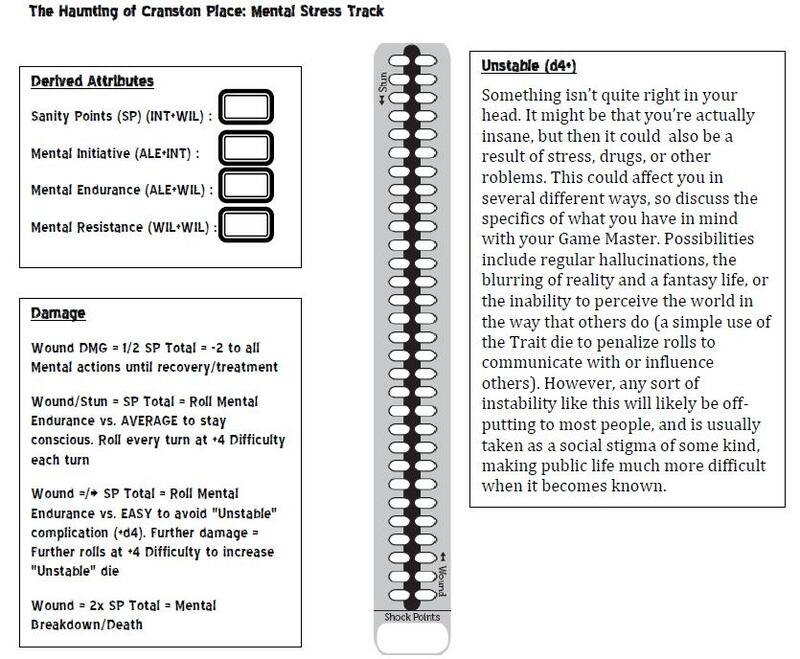 If Mental Wounds = or exceed the Sanity Point total, the character would need to roll a Mental Endurance at EASY difficulty to avoid gaining the “Unstable” Complication (at +d4). Further damage means further rolls at +4 Difficulty to avoid the Complication. If Mental Wounds taken are twice the Sanity Point total, the character experiences a complete mental breakdown or death. My group seemed to have a pretty good time with this adventure–everyone really got into the spirit of the thing and ran with it. The adventure, I think, is a little flawed–or perhaps it was just operator-trouble on my part. From time to time I needed to pick up the pace and there may not be enough clues/coincidences to actually get people pointed in the right direction. However, my players eventually did–with a bit of coercion on the part of the PI. If you’d like to sample the adventure for yourself, feel free to check out these downloads. 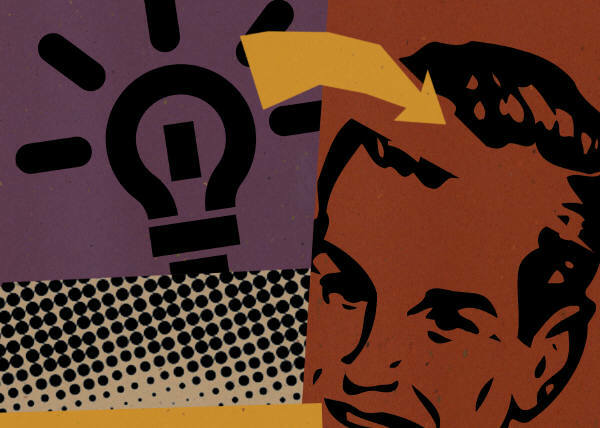 Tweak them to your heart’s content. Hopefully you’ll have as much fun with them as I did!